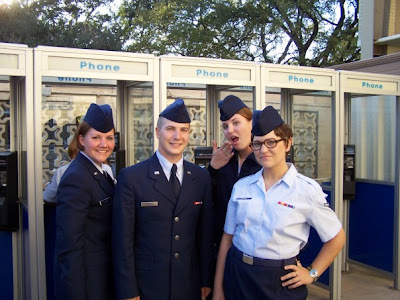 In 2006 I took a fateful journey into the United States Air Force. It was by far the best experience I have ever had in my life, and I miss it every single day. I would have to say it is probably the one thing I regret in life; not trying harder to fight my discharge. It was such a mess, but I was fine until I was shipped off to the 319th, where those losers broke my spirit. But! I can definitely say my defiance in that place helped shaped the future for Holdovers, and they were soon treated properly by the TIs, rather than like the disgusting loser Trainees who would do anything to get out. And look at how tiny I was! 130lbs! I would give anything to be that little again. Being 200lbs makes me want to throw up, repeatedly. Oh wait, that’s just the pregnancy talking. I made great friends in BMT and beyond. One of my bestest friends in the entire world was a holdover with me at the 324th. We ruled that place, it was such a great time. I love you, Chronic. Now we’re both civilians, living way too far apart and both with kids. 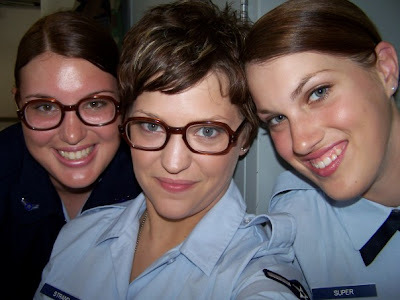 I will never forget my life on Lackland, and I actually do plan on writing a book about it, because it was so unique (and because I was a total badass ha ha ha). And it was the that fateful journey which put me in San Antonio, TX, where I lived and met my husband. I wouldn’t give that up either. Thus ends my flashback friday.